Carbon capture and storage (CCS) could be an effective measurement for carbon emission reduction in China. This paper summarizes the development of power sector in 2020, 2030, and 2050, and it classifies 18 scenarios including with and without CCS, respectively, in G1:low, G2:middle, and G3:high in 2020, 2030, and 2050. It adopts China’s input-output table (IO table) and analyzes the different mitigation strategies for power sector. 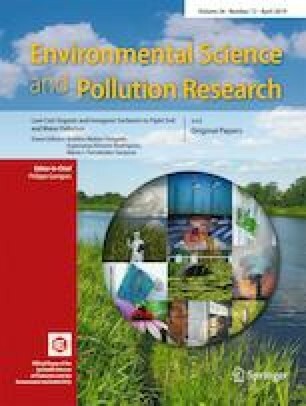 In particular, this paper builds a new China’s input-output table based on aggregating the sectors in IO table and disaggregating the power sector into 11 different technologies which are coal-fire power, coal-fire power with CCS, natural gas power, natural gas power with CCS, hydropower, nuclear power, wind power, solar power, biomass power, geothermal power, and ocean power. Through input-output model, this paper estimates gross value added (GVA) and employment effects of different scenarios of different technologies in power sector in China. It finds that the differences of GVA and employment effects among different scenarios are large. In CCS scenarios, the coal-fire power with CCS contribute 1.48–1.63 × 1010 RMB in 2020, 1.09–1.55 × 1010 RMB in 2030, and 0.85–1.20 × 1010 RMB in 2050 for gross value added. Meanwhile, the employments of coal-fire power with CCS can add the jobs of 11,966–17,159 in 2020; 10,419–16,228 in 2030; and 8977–12,571 in 2050. CCS sector contributes the higher employment than in the renewable power sectors. Meanwhile, coal mining industry, equipment manufacturing industry, and metallic industry take main contribution to the employment of CCS sector. This study was financially supported by the National Science and Technology Major Project under Grant No. 2016ZX05016005-003 and Beijing Propaganda Culture High-level Talent Training Subsidy Program under Grant No. 2017XCB031.